Due to enrollment challenges, there may not be space at your desired school. If this is the case, we will consider the second and third choices on your transfer application. For students who live within the Anaheim Elementary School District, and wish to attend an AESD school other than their school of residence. Submit transfer to the school or District Office during the Intradistrict Transfer Period February 1st – April 30th. Transportation services are not available. Parents will be notified by mail once transfer has been processed. If student has not attended their residence school, parents are required to contact their school of residence for a tour with the principal and obtain a signed Tour Receipt before completing a transfer. Transfers approved after Sept. 30th will be granted through the end of the current school year. Please note: In order to continue attending the transfer school through 6th grade, reapply for a transfer during the Intradistrict Transfer Period from February 1st – April 30th. Parents will be notified by phone/mail once transfer has been processed. For students who wish to attend a school district other than the district in which they live (district of residence). Obtain an approved Interdistrict Transfer Agreement from your District of Residence. Submit the approved transfer to the AESD District Office for processing during February 1st – April 30th. Transfer will be processed within 30 days of the date submitted to the District Office. Parents will be notified by phone/mail once transfer is processed. Transfer will need to be renewed annually. 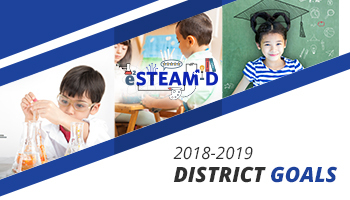 Submit the transfer to the AESD District Office starting February 1st. If student has not attended their residence school, parents are required to contact their school of residence for a tour with the principal and obtain a signed Tour Receipt. Submit the Tour Receipt to District Office Pupil Services Department to finalize the process of your transfer starting February 1st. Transfer will be processed within 30 days of the date of submission to the District Office, pending the Tour Receipt, if applicable. Upon approval by AESD, Interdistrict Transfer Agreement will need to be submitted to the district of desired attendance for their approval. Parents will be notified by mail once the transfer has been processed. If you have additional questions, you may contact the Office of Pupil Services at (714) 517-7526 during the hours of 7:45 a.m. and 4:30 p.m., Monday through Friday.